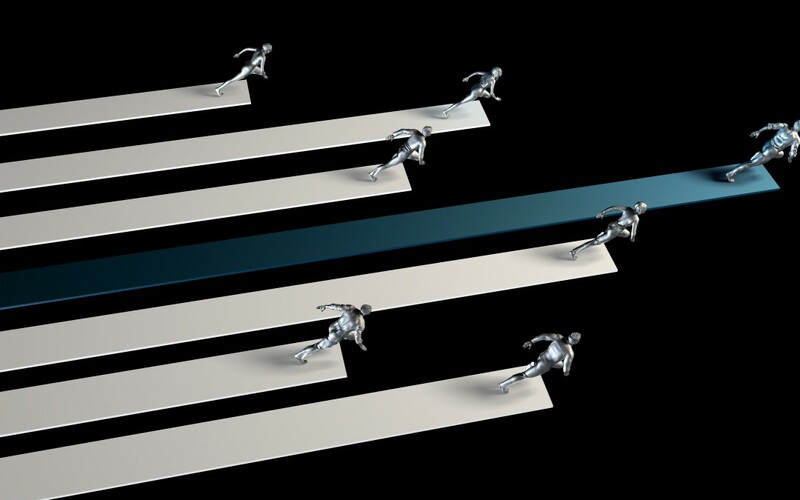 A sustainable competitive advantage is a business asset, resource, process or ability that’s difficult to copy or buy, and provides a beneficial edge over competitors in the long-term. Michael Porter’s famous work on the topic classifies competitive advantages into three categories: cost leadership, differentiation and focus. However, when this research was published in the 1980s, few people were talking about digital marketing. Today, more than ever, we’re living in a digital world. That means that no matter what line of business you’re in, you’ll need to excel at digital marketing, providing online customer experiences and creating mobile friendly websites and apps. Without these, you’ll have a hard time gaining an edge over your competitors. Just think of Hubspot, Wikipedia or Amazon: they’re champions of online marketing and, therefore, totally dominate their business field online in spite of operating in highly competitive markets. So how could you achieve that too? Text-based content is important but it’s already becoming oversaturated which makes it hard to compete for keywords. Therefore, focus your efforts more on video. The costs can be daunting at first, but the returns will be impressive due to the lower competition. Also, there are many ways to save money on video production such as simply repurposing your best performing articles into video format. Ultimately, the key is to develop a scalable process to produce content that integrates your online marketing strategy, is hard to replicate and that people will love to consume and share. With every generation, the expectations for site speed, user-friendliness and customer experience will skyrocket. Design your website accordingly and consider moving to a mobile-first strategy, as this is increasingly becoming today’s prefered media. Just think, how much time do you spend outside work on your PC compared to your smartphone? Very little. By nailing mobile experience, you’ll also improve your SEO performance, attract more traffic and boost conversion rates. Everybody seems to be doing it, but few are doing it well. However, that’s exactly why social media can become one of your secret weapons. Keeping in mind the Pareto principle: spend 20% of your time producing content and 80% promoting it to maximise the value of each piece. While it’s hard to compete on Facebook, Twitter and Instagram where many companies have established a strong leadership position over many years, you can win big by focusing on new platforms. Thus, keep your eyes open for emerging social media channels that are relevant to your audience and make sure to build a strong presence there ahead of your competitors. Thought leadership is the holy grail of digital marketing, when it’s actually achievable! If you execute the previous three elements perfectly, you’ll have a great chance at positioning your business as the point of reference for your buyer personas, content creators and media around the world. This will result in the formation of a loyal audience and brand ambassadors that will be promoting your brand and solutions for you. Needless to say, by becoming the perceived industry leader and leveraging the power of networks and referrals, you’ll be growing sales figures as well. Once you achieve thought leadership, it could easily become one of your most important sustainable competitive advantages. All the aspects mentioned above might sound hard to achieve, but that difficulty is exactly why these factors give you a sustainable competitive advantage. By investing resources into long-term digital marketing strategy and execution, you can achieve a leadership position that could take your competitors years to catch up with.